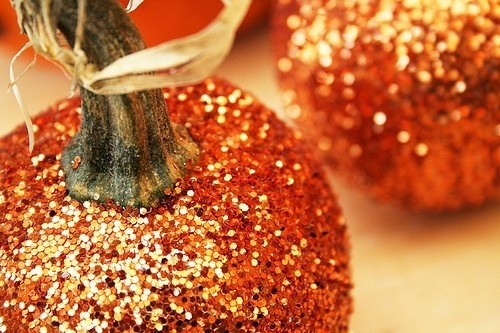 Glitter Pumpkin – I actually just made one of these as a gift and put a circle monogram on it – so cute and well received! 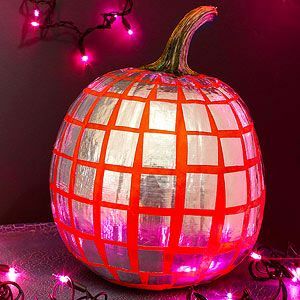 Everyone loves a great disco ball pumpkin! 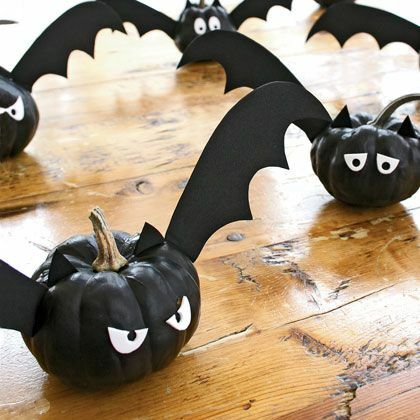 I’m sure, with my husband’s help, we will also create some traditional carved pumpkins. If you have any of my luck, they sometimes get moldy, rotten, and smelly before the big day. 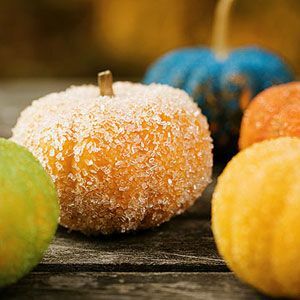 I found this recipe on Pintrest that helps to prevent pumpkins from turning nasty. 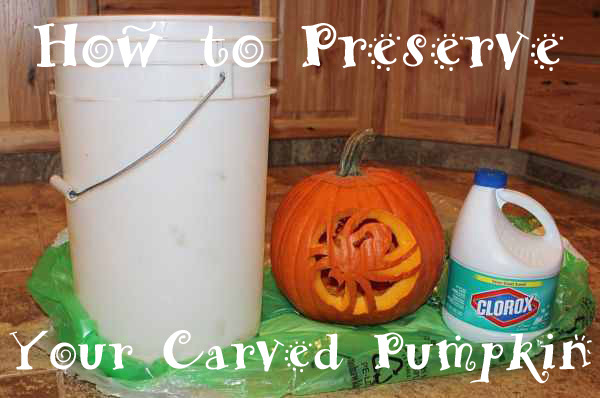 I am looking forward to trying this recipe to help “preserve” our carved creations. 1. 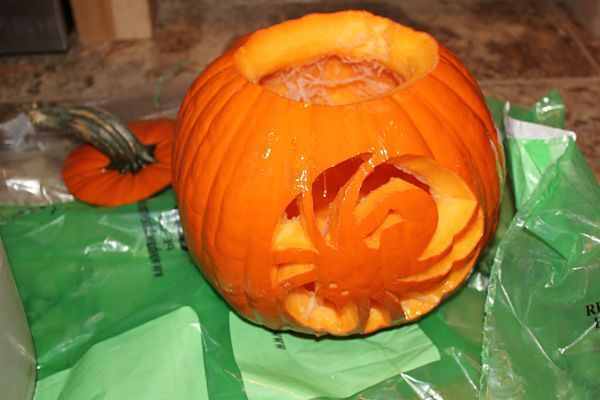 Place carved pumpkin gently inside the bucket. 2. 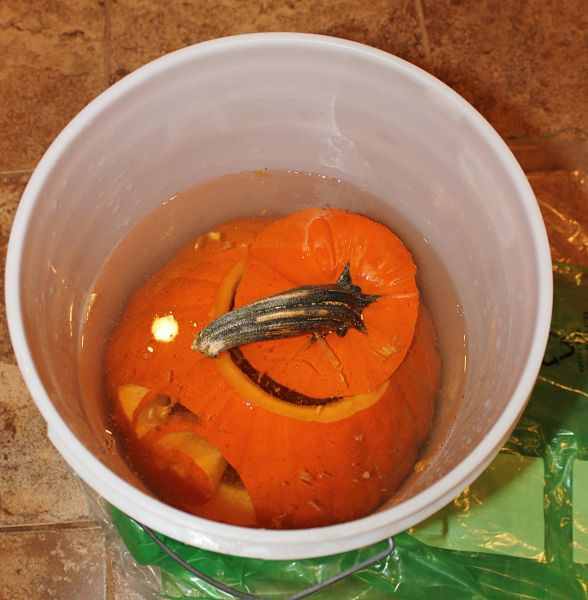 Pour 2/3 cup bleach into the bucket &amp; fill with enough water to submerge the pumpkin. 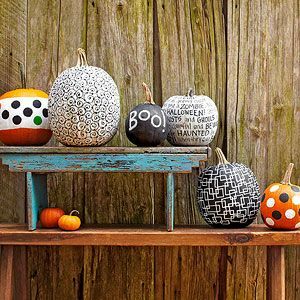 Don’t forget to put the pumpkin lid in the water too. 5. Set the pumpkin out to dry. 6. Once it’s dry, let it grace the scariest of haunted houses! Good Luck, have Fun and be CREATIVE!